Istraživanjem smo ispitivali spolne razlike u poimanju estetike lica te utjecaj dobi i psihosocijalnih čimbenika. Sudjelovalo je 1444 ispitanika, 692 (47,9%) muškaraca i 752 (52,1%) žena, u dobi od 16 – 85 godina. Za procjenu atraktivnosti profila lica rabljena su dva seta kolor fotografija koji su predstavljali 13 muških i 13 ženskih distorzija profila europskog bjelačkog tipa lica, koji su predstavljali razne skeletne i dentoalveolarne komponente sagitalnog odnosa maksile, mandibule te inciziva. Ispitanici su profile ocjenjivali numeričko – ocjenskom skalom od 0 – 10, gdje 0 predstavlja “ uopće mi se ne sviđa”, a 10 “jako mi se sviđa”. Profile svog spola ocjenjivalo se samo sa socijalnog aspekta, a profile suprotnog spola zasebno sa socijalnog i emocionalnog aspekta. U statističkoj analizi rabljene su analiza varijance i analize kovarijance sa Sidakovim post-hoc testom. Percepcija estetike lica ovisna je o spolu, dobi i psihosocijalnim čimbenicima procjene (p<0.05). Muškarci najatraktivnijim u socijalnom aspektu smatraju ravni ženski profil, a u emocionalnom umjerenu bialveolarnu protruziju. Žene najatraktivnijim u socijalnom aspektu smatraju ravni muški profil, a u emocionalnom blagu bialveolarnu retruziju. Povećanjem dobi procjenitelja povećava se i ocjena estetike. 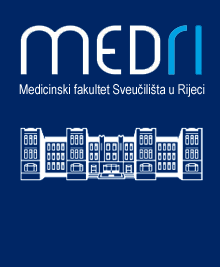 Pri planiranju terapije kojom se modificira profil lica kliničar bi trebao imati na umu da je percepcija estetike profila lica kompleksan fenomen pod utjecajem biopsihosocijalnih čimbenika. We have examined gender differences as related to comprehending facial aesthetics as well as the influence of age and psychosocial factors. The study included 1444 examinees, 692 (47,9%) males and 752 (52,1%) females, aged 16 to 85 years. To estimate the attractiveness of a facial profile, two sets of colour photographs were used that represented 13 male and 13 female distortions of European Caucasian facial type profiles, which represented different skeletal and dentoalveolar components of a sagittal relationship between maxilla, mandibula and incisors. The examinees evaluated the profiles using a numerical rating scale ranging from 0 to 10 where 0 stands for “I strongly dislike it” and 10 for “I like it very much”. The profiles of the same gender were evaluated only from the social aspect, while those of the opposite gender were evaluated separately from social and emotional aspect. Analysis of variance and analysis of covariance with Sidak post hoc test were used in the statistical analysis. Perception of facial aesthetics is dependent on gender, age and psychosocial factors of evaluation (p<0.05). Males consider the flat female profile to be the most attractive in the social aspect, and mild bialveolar retrusion in emotional aspect. Females consider the flat male profile to be the most attractive in social aspect, and slight bialveolar retrusion in emotional aspect. The assessment of aesthetics increases with the increase of age of rater. As regards planning the therapy to modify a facial profile, clinician should keep in mind that perception of facial aesthetics is a complex phenomenon under the influence of biopsychosocial factors.